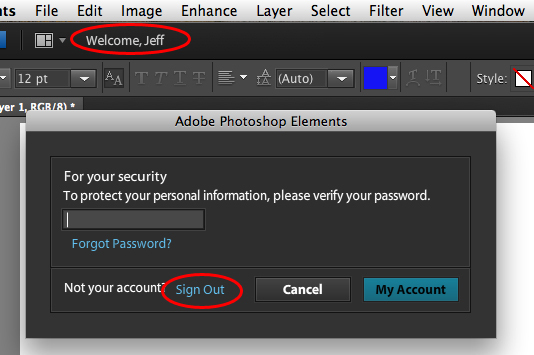 Photoshop Elements: How do I turn off automatic connection to the internet in PSE? Photoshop always tries to connect to the internet when started. I take a laptop on cruises where the satellite Internet connections are poor at best and expensive time wise. I would like to have an option to turn off the automatic connection. Thank you. Can you click on your name on the app bar and sign-off?